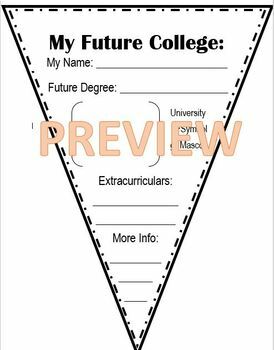 Seniors in high school use this pennant to display information about their college during their senior year. In the past, students have colored and decorated these before being laminated and put on display in the school hallway. Pennant is made to print on an 8 1/2 by 11 inch paper.